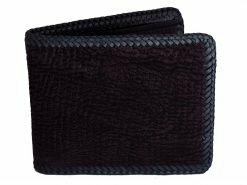 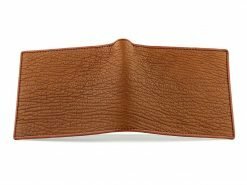 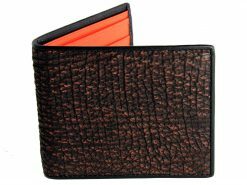 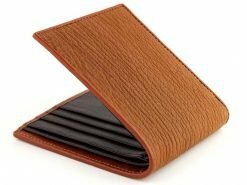 Shark Wallet Mens Leather Wallet. 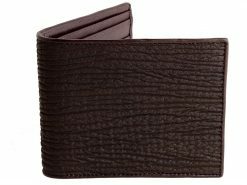 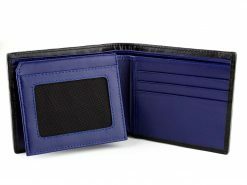 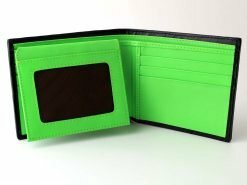 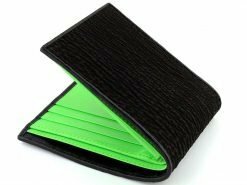 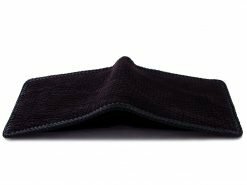 Satisfy your senses with this mens shark wallet. 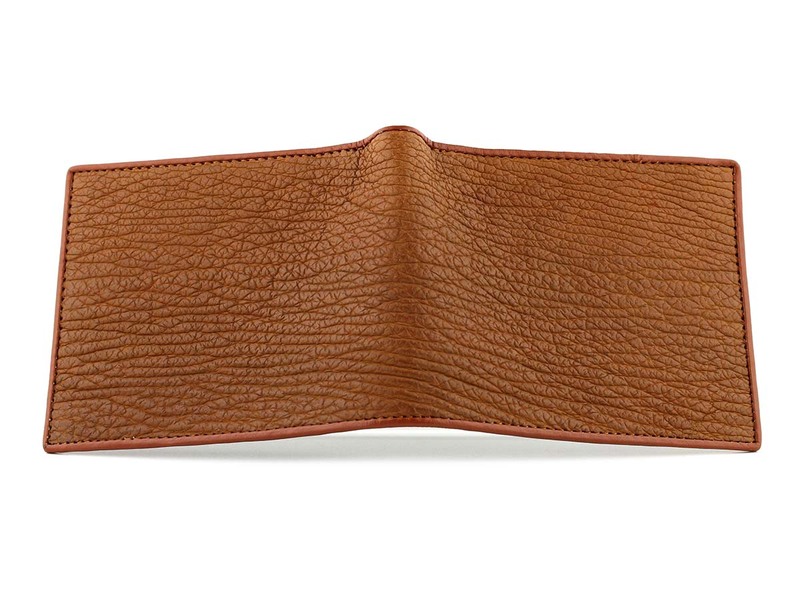 Beautifully textured and smooth to the touch. 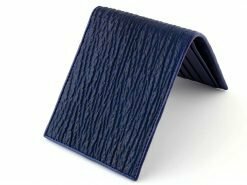 Many people think of shark skin and imagine something rough like sandpaper or a cat’s tongue. 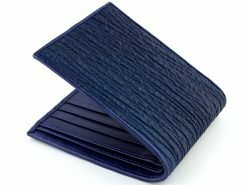 While in the past shark skin has actually been used for sandpaper today’s modern tanning techniques allow us to turn shark skin into a highly durable and almost suede or nu buck like leather. 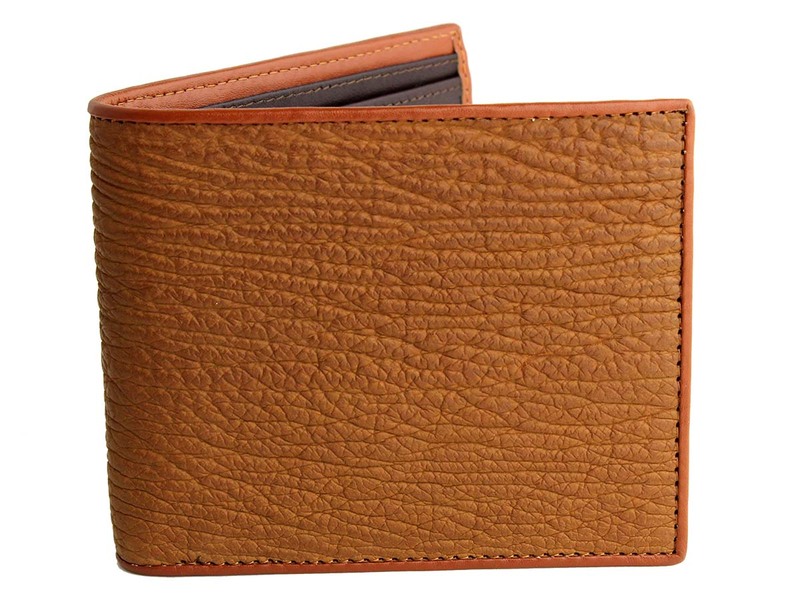 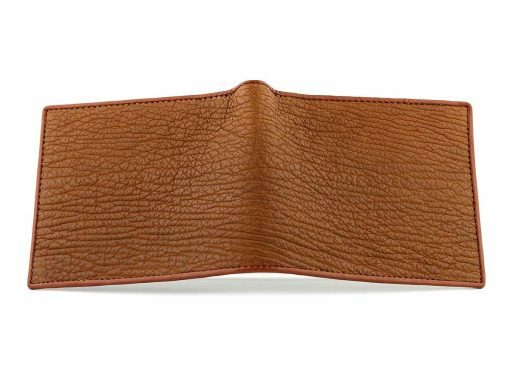 These stylish tan color men’s wallets are a delight to hold and exclusive to Real Mens Wallets. 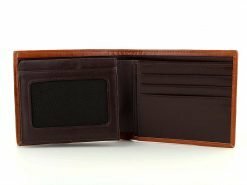 Finished with a contrasting choc brown calfskin interior to really set it off.. grab one.